China Bans Bitcoin Trading By Banks : The Two-Way The exchange rate of Bitcoin, the digital currency whose value has sharply risen this year, took a hit following a government ban. Chinese citizens are not forbidden from using the currency. Chinese banks cannot trade in Bitcoins, the digital currency that doesn't recognize international boundaries, China's top regulators said Thursday. China says banks in the country are no longer allowed to trade in Bitcoin, the digital currency whose value has sharply risen this year. Chinese citizens, however, are not forbidden from using the currency. The Bitcoin exchange rate took a hit following Thursday's news from China's central bank. "China is the world's biggest market for Bitcoin and has helped drive its explosive appreciation this year. Today, though, the People's Bank of China appeared to prick the Bitcoin bubble here. "China's central bank said Bitcoin is unsafe because it has few controls and makes it easier to launder money and finance terrorism. "The bank said: 'It does not have the legal status of a currency, and it cannot and moreover should not be allowed to circulate in the market as a currency.' "
Frank says that after the central bank issued its ban, "the price of Bitcoin fell from a daily high of about $1,240 to about $920, according to BTC China, a Bitcoin trading platform here." 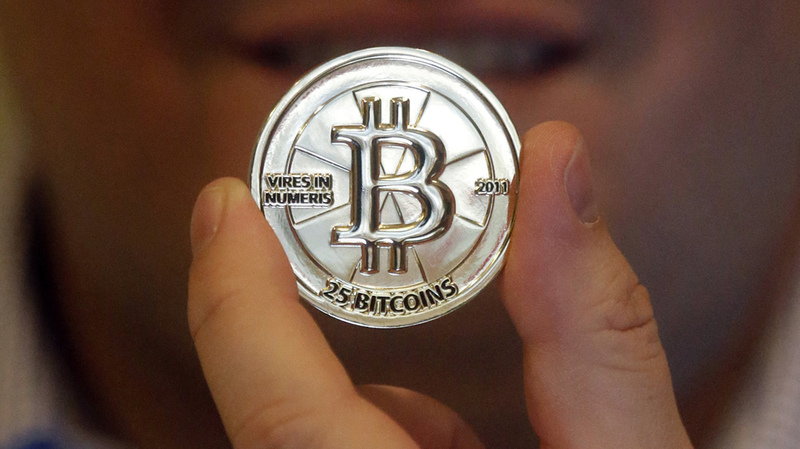 The Bitcoin currency is unregulated and can easily cross international borders. Its lack of ties to a banking system give Bitcoin a degree of anonymity that has led critics to say it eases transactions in the drug trade and other illegal markets. As Reuters reports, "Chinese nationals are major participants in the [Bitcoin] market and hold an outsized share of the total number of Bitcoins in circulation. Shanghai-based BTC China has recently become the world's largest Bitcoin exchange by volume." "I have a cousin that's a dentist, and I had a toothache right before we were leaving on our trip. So he agreed to see me, and I set him up to take Bitcoin. And then a couple days ago he called me, and he was like, 'So, I haven't cashed in my Bitcoin, and I just checked the balance and it's really high now.' "